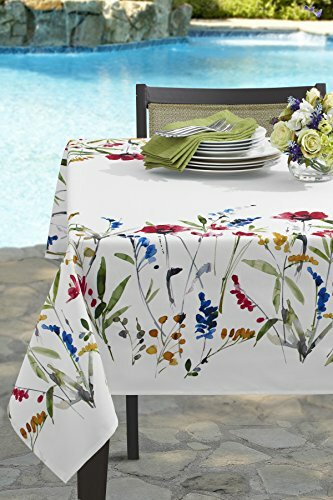 Maison d’ Hermine Kashmir Paisley 100% Cotton Tablecloth 60 – inch by 120 – inch. 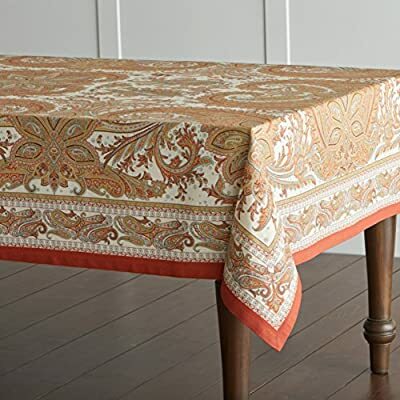 This Kashmir Paisley tablecloth featured in the list of ELLE DECOR’s “THE BEST THANKSGIVING TABLECLOTHS FOR A MEMORABLE FEAST”. 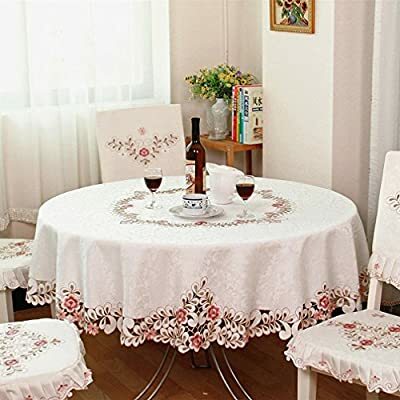 Delicate embroidery and cutwork make a beautiful way to dress up your home. 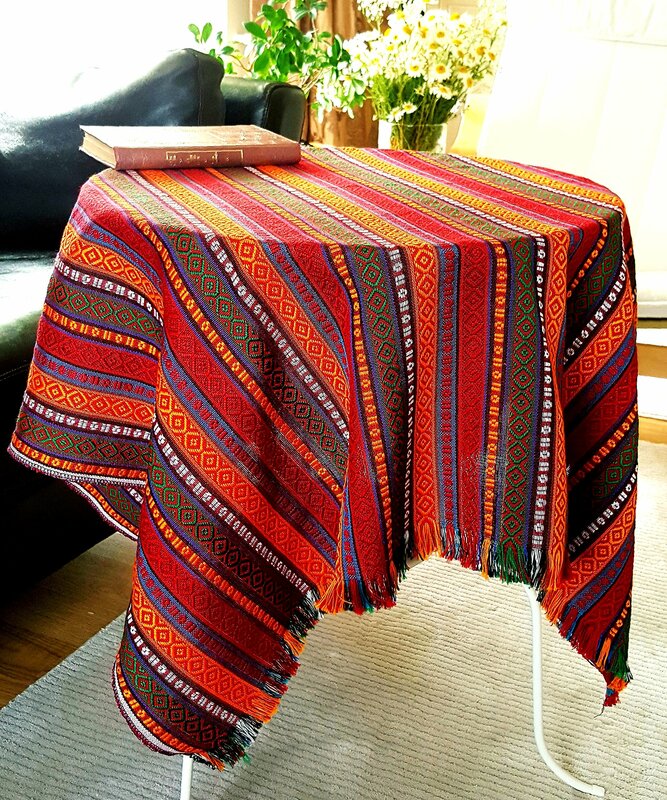 FOR YOUR TABLE – This square tablecloth measures 52×52″, appropriate for a table that seats 4-6 people. EASY CARE – 100% cotton. Machine washable, gentle cycle. Low iron if needed. 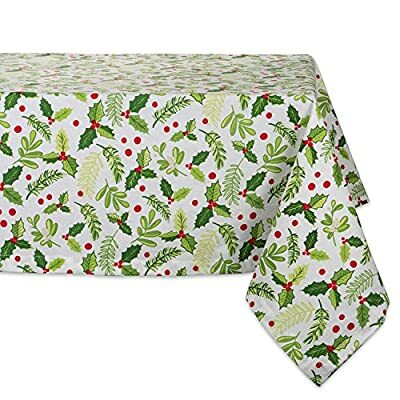 ADDS A FINISHING TOUCH – Deck the halls with boughs of holly printed in bright red and green dancing on this durable tablecloth that will last season after season. IMPORTANT NOTICE: Dear Customers! 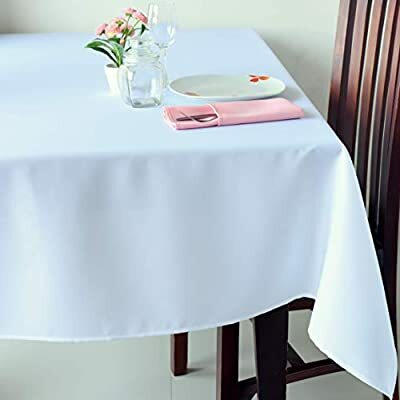 This Tablecloth has WHITE color. We have also the same fabric and pattern but IVORY, BLUE, RED, BLACK color, please enter “AHOLTA” in the Amazon search string to find it. Turkish Quality. 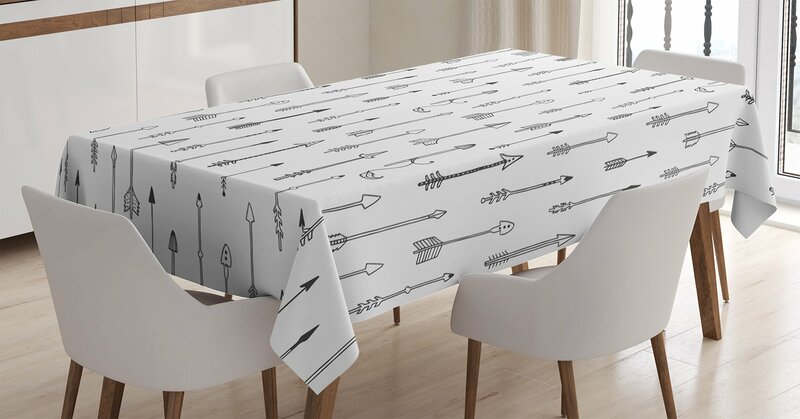 The Turkish dining table tablecloths from AHOLTA DESIGN are made in Turkey from a high-quality material. 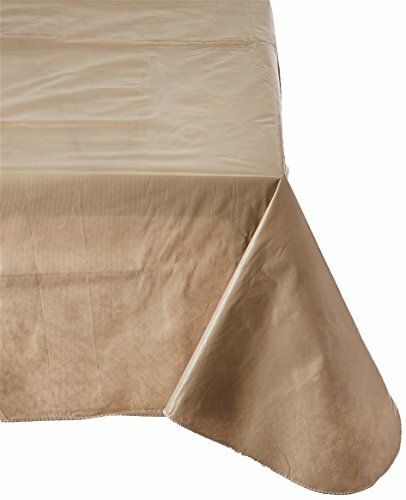 This polyester is spot-proof, easy to wash and doesn’t need ironing (please check reviews of listing). 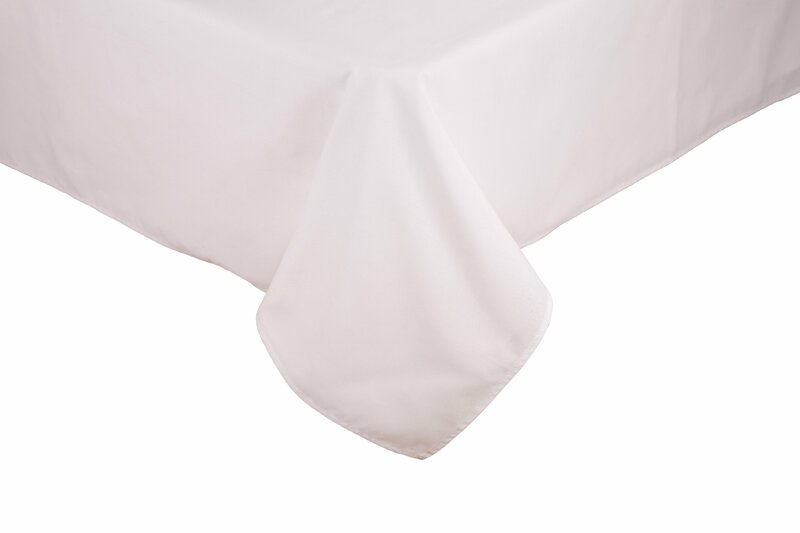 The round, square, and rectangle tablecloths are machine washable. Choose a suitable SIZE AND FORM. 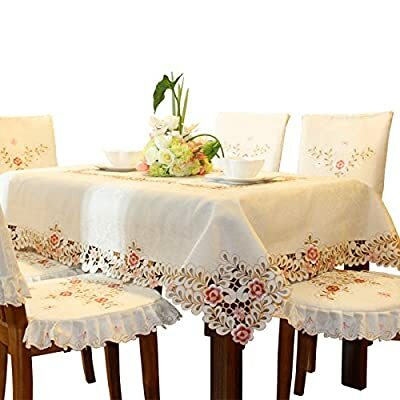 The polyester Turkish snowflake tablecloths can be bought in 12 variants. Round – 50″, 60″, 70”, 84″, square – 40″x40″ (topper), 52″х52″, 60″x60″, 70″x70″, and rectangular – 52″х70″, 60″х84″, 60″х104″, 60″х120″ and 60″х140″. 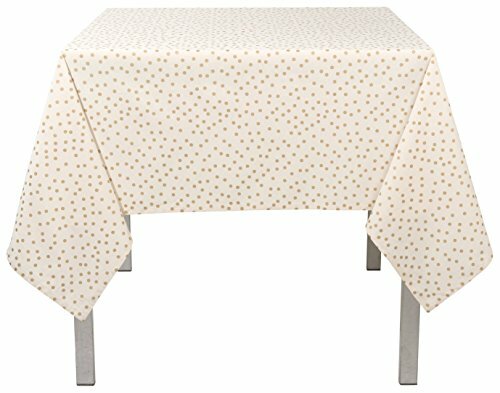 You’ll be able to choose a luxurious and ideal tablecloth for your dining table. Spill-proof. DECORATE your sparkling table. 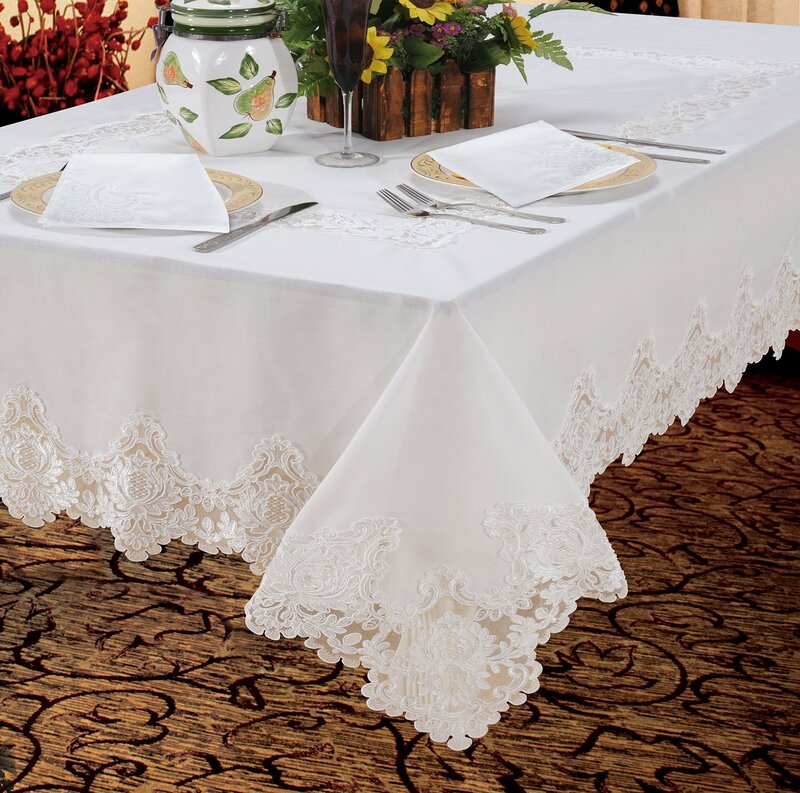 Holiday table linen for Thanksgiving, Christmas, weddings, or any family party or occasion. 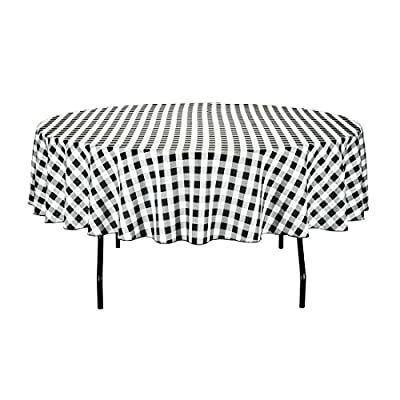 A really festive table is impossible without an elegant tablecloth. The tablecloth is heavy-duty and made for regular use. ✔HIGH QUALITY MATERIAL: 100% cotton canvas made, more durable, long-life used, heavyweight with comfortable touching. Eco-friendly produced, no chemical substances added. ✔ SUITABLE FOR VARIOUS TABLE SIZE: Size of 52″x70″, 60″x84″, 60″x104″and 60″x120″, to see which fits your table, please refer to the measurement guide in the display picture. 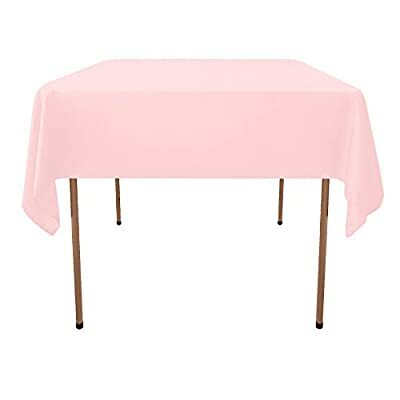 Tablecloths are great for dinners: kids parties, picnics; BBQ’s, potlucks, parties, holidays, and restaurants. SUPERIOR FABRIC-100% Premium Polyester,Top Grade Premium Quality 200 GSM. 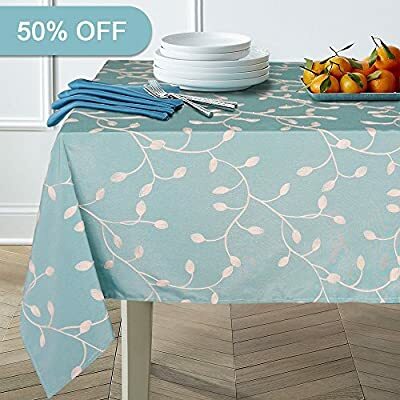 TABLECLOTH FOR SQUARE TABLES – 54 x 54 inch Multiuse Square Protector for Sqaure and Round Tables- 100 Percent Polyester for Food Buffet, Weddings, Birthday Party, Thanksgiving & Christmas Dinner. 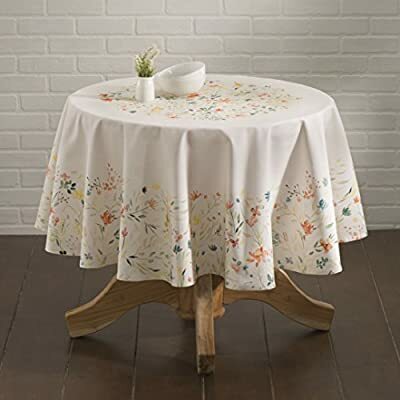 FITTED FOR SQUARE and ROUND TABLE – Versatile Square Shaped Table Cloth Fits Square and Round Folding Buffet Tables, Outdoor Picnic Tables & Dining Room & Kitchen Tables. Choose a suitable SIZE AND FORM. 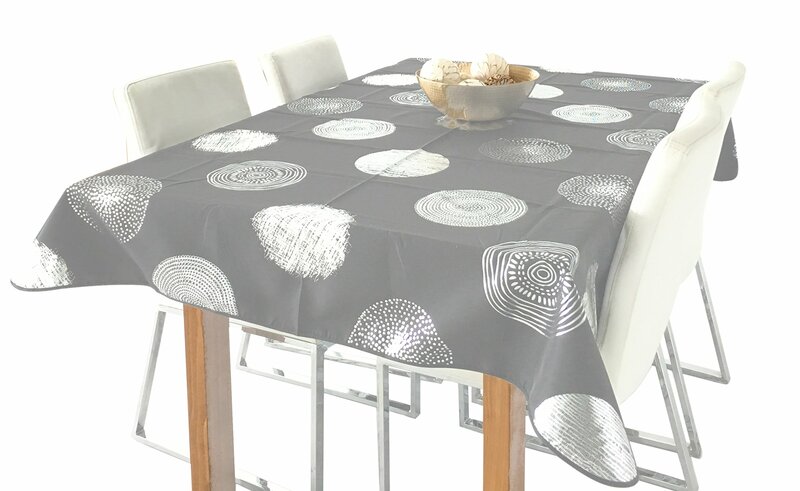 The polyester Turkish sparkling tablecloths can be bought in 12 variants. Round – 50″, 60″, 70”, 84″, square – 40″x40″ (topper), 52″х52″, 60″x60″, 70″x70″, and rectangular – 52″х70″, 60″х84″, 60″х104″, 60″х120″ and 60″х140″. 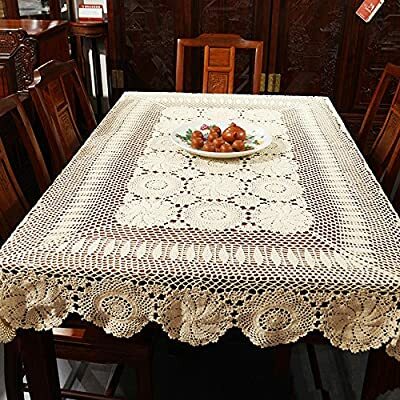 You’ll be able to choose a luxurious and ideal tablecloth for your dining table. Spill-proof. 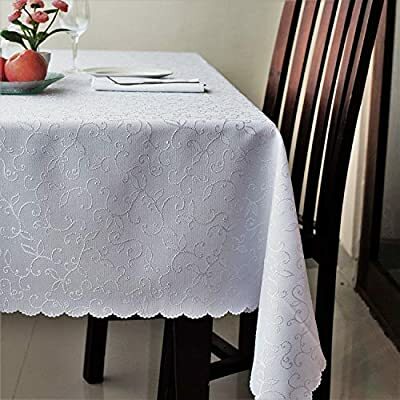 DECORATE your table with snowflake tablecloth. 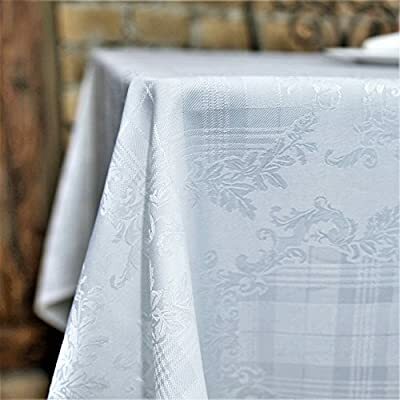 Holiday table linen for Thanksgiving, Christmas, weddings, or any family party or occasion. 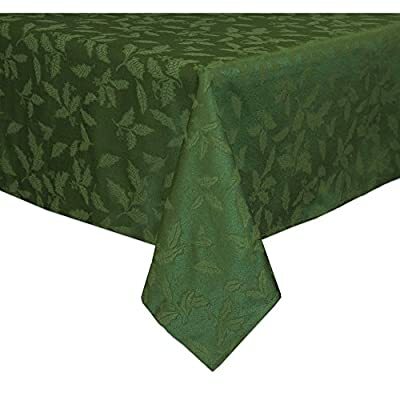 A really festive table is impossible without an elegant tablecloth. The tablecloth is heavy-duty and made for regular use. 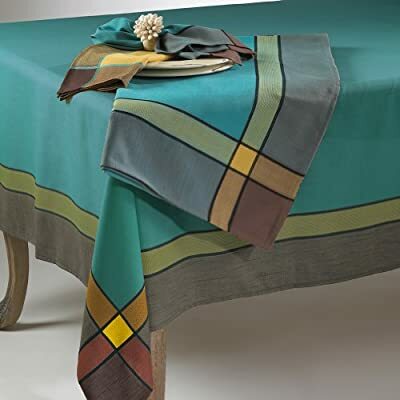 Tailored with care, this Colmar tablecloth from Maison d’ Hermine is ideal for both formal & casual settings and makes a great gift for all occasions. Package Includes: 1 Tablecloth. 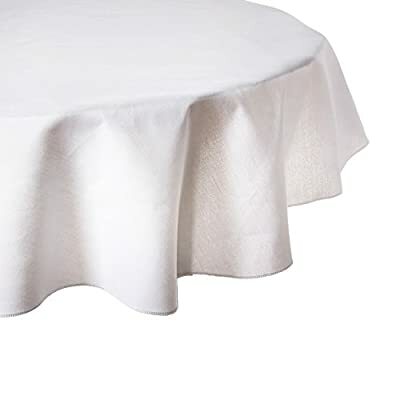 Available Tablecloth Shapes: Square, Rectangle & Round. Products shown in the group image should be purchased separately. Color: Brick Red, Orange, Green, Blue and White, Natural fringes in two sides. 60 INCHES WIDE x 90 INCHES LONG – Highly unique. Versatile. FUN. MACHINE WASHABLE – Cold cycle. Easy to clean. Durable enough for both indoor and outdoor use.